The Blizzard adult team program offers playing opportunities for both competitive and recreational players. Our mandate is to set up our graduating minors to teams which play in a variety of tiers and includes a large social component. We have multiple women’s teams playing in the Calgary Women’s Soccer Association (www.womensoccer.ab.ca) from Majors (Alberta Major Soccer League or “AMSL”) to tier 5. This also allows us “play up” opportunities fo any female minor from the age of 16-18. Our men’s teams are registered with Calgary United Soccer Association (www.cusa.ab.ca). We have alliance/partner teams from Majors (AMSL) to tier 6. Men’s league also has opportunities for young male players 16-18 to “play up”. It’s a great way to try adult leagues without committing to a team right away. If you’re interested in becoming an adult player with any of our existing teams or your team wants to move to the adult league, please contact our adult team coordinator at info@calgaryblizzard.com. One of our many Blizzard adult teams is the Alberta Major Soccer League Team, Blizzard United, coached by Diogo Raposo. 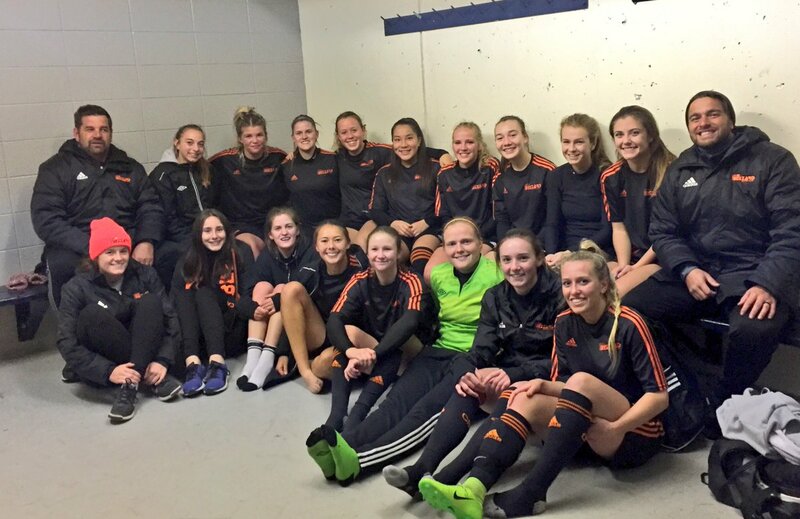 The team enjoys the guidance and experience of some of its senior players, Mollee Ramsay, Brianne Horne and Jamie Horne who all played on our Blizzard 94 team and have been Blizzard start to finish. These dedicated players also give back to the club coaching our younger girls’ teams and are strong role models for our up and coming players. Thank you for your dedication to our club and the sport you love! 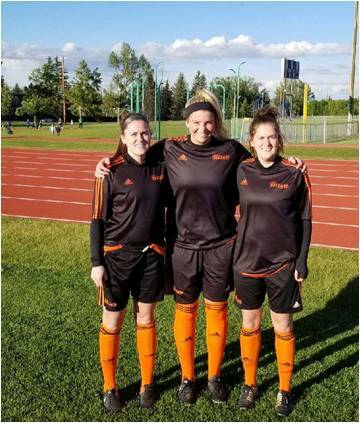 Jamie Horne, Mollee Ramsay and Brianne Horne, Blizzard United players and dedicated club coaches.